We enjoyed the Thai curries and change of (beautiful!) scenery immensely but after a month it was time to return to our cave heaven. We returned to a very quiet Playa del Carmen. Hurricane season = low season = time for some great diving for ourselves! This also means that diving instructors like myself have time to be a student again and improve our diving skills and certifications. I finished my Megalodon Rebreather MOD 1 course this week with Kris. Next week we will take it a little deeper as we continue with MOD 2. I was always a little apprehensive of learning to dive on the machine. I must say it is a great experience! It is a really interesting and cool thing to learn and I’m very happy I finally had the time to do it. I added some pictures of us above the water below, unfortunately we didn’t have an underwater camera with us. 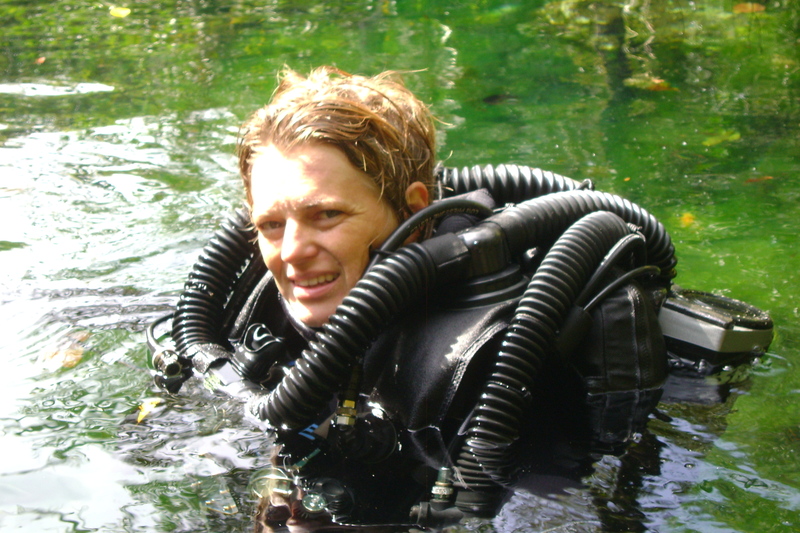 Diving instructor, cave diver and colleague Geraldine started her deeper Technical adventure with TDI and Kris Harrison. 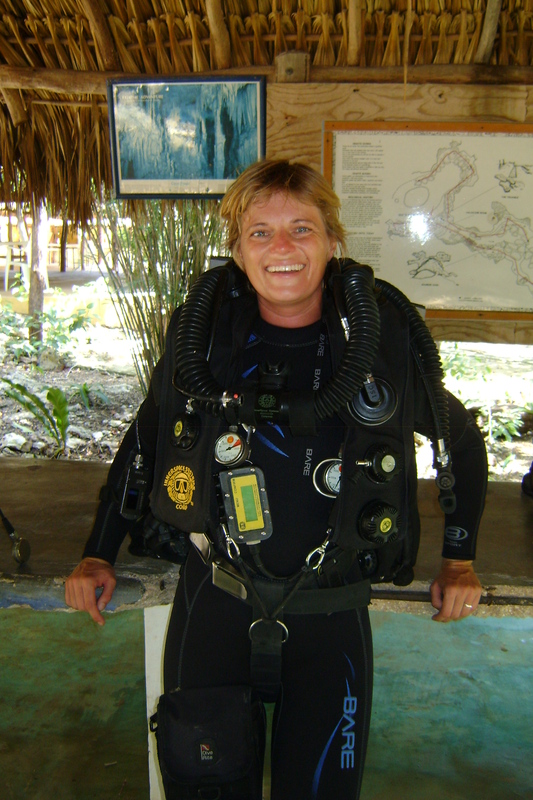 She is now a Normoxic Trimix diver. Congratulations, dive safe and have fun with it!! 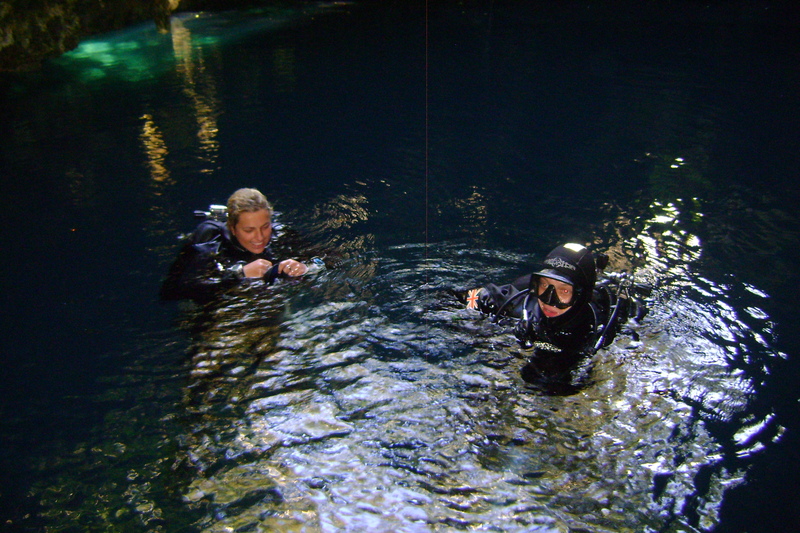 Two more open water instructors working and living in the area decided to spend their days off learning to dive in caves. 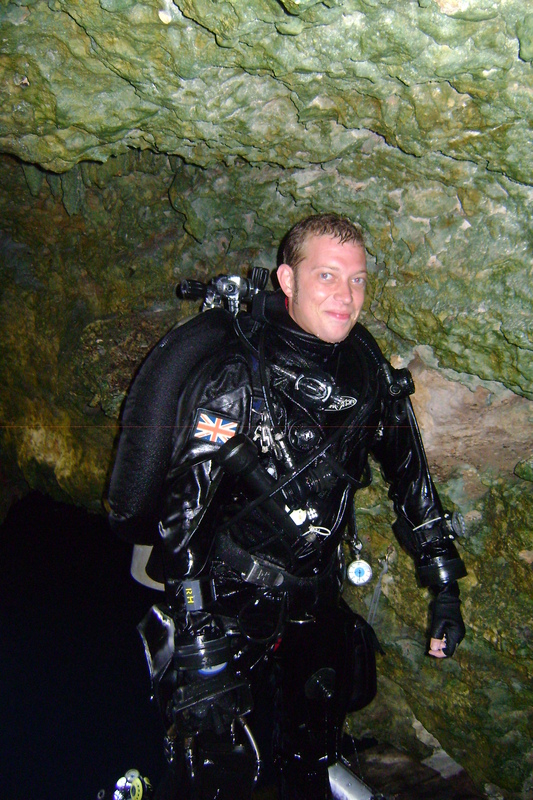 Russell and Louise started their TDI Full cave courses 3 weeks ago and finished very successfully 9 days later. Great job guys!! Now go and enjoy the beautiful caves. But first Russell will be going a bit deeper; he started his TDI Trimix course today. 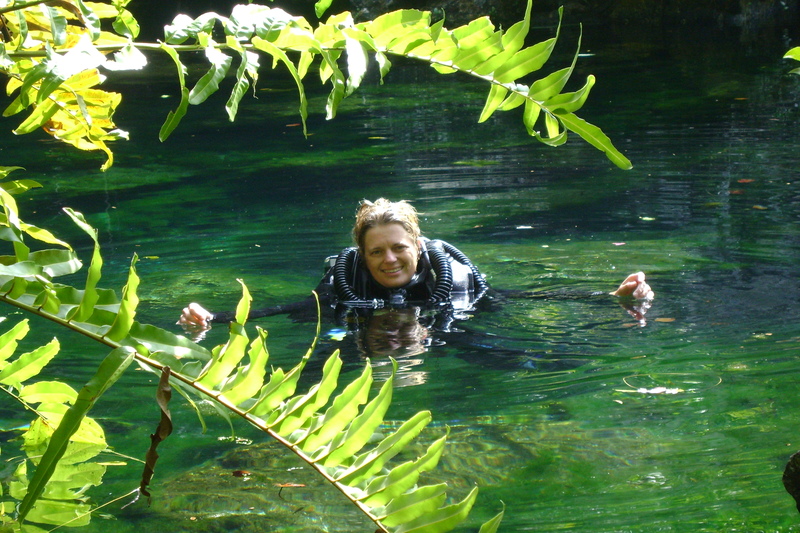 They will probably be diving in the Laguna (near Tulum), The Pit (a deep cenote), and we also have a little road trip planned to Bacalar in the south, where we will dive Cenote Azul, followed by a great fish ceviche! 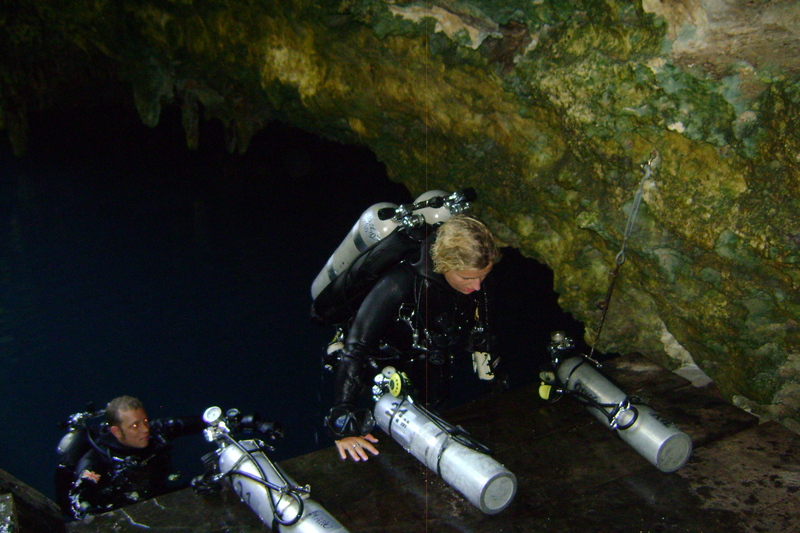 Caves, Rebreather and Trimix diving. 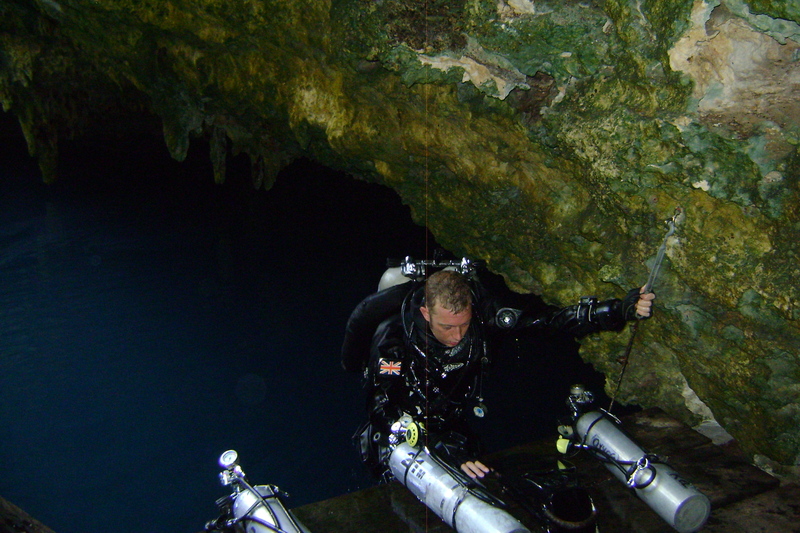 What about diving on a Rebreather in a Cave using Trimix?! Russel and Louise going over the last equipment checks on the surface. 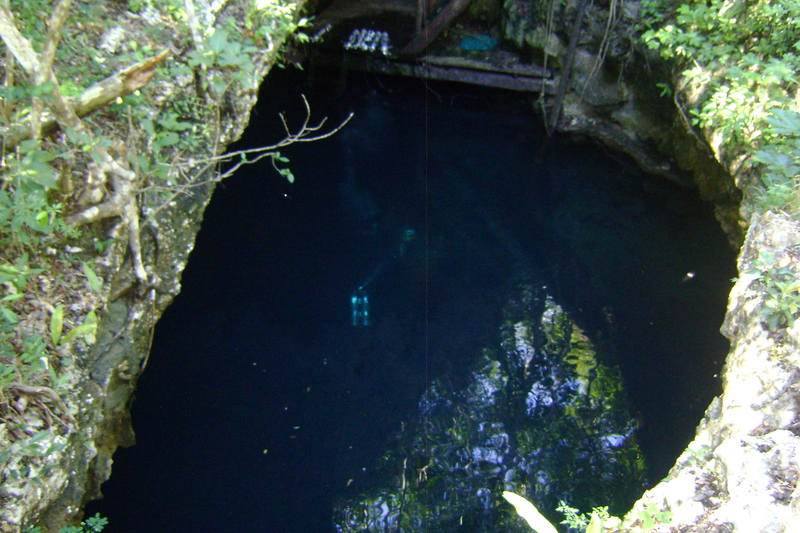 After the upstream line dive in the Pit. Using a twinset and a stage. 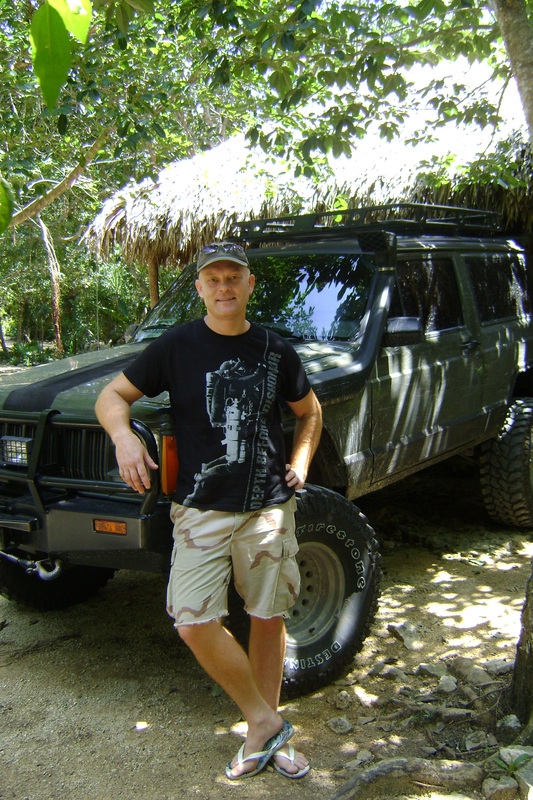 Kris proud owner of the renewed green jeep. 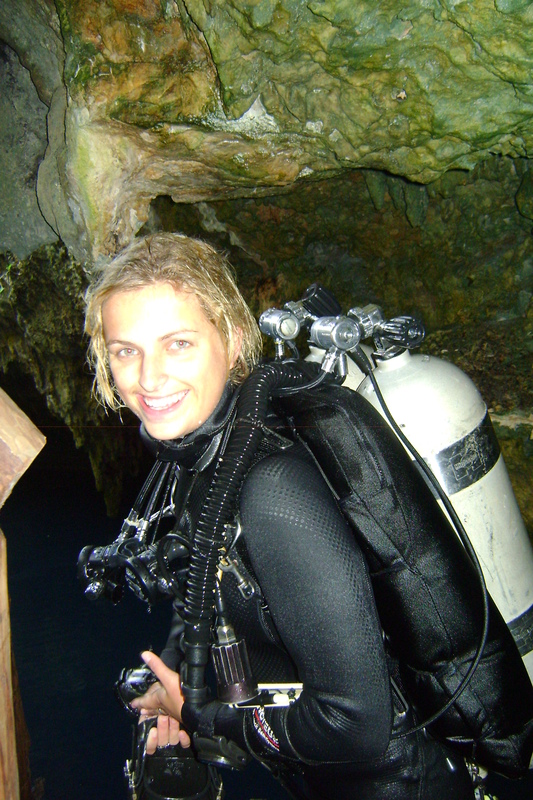 Marielle excited to go dive the Megalodon CCR rebreather. ISC Megalodon MOD 1 Course with Kris Harrison.